CORRI LA VITA IS BACK!! CORRI LA VITA will be back next Sunday, the 24th of September, for its 15th edition! Funded in 2003, CORRI LA VITA is an event for raising funds of which a portion is given to public health facilities that specialize in rehabilitative therapy for cancer patients. This event is organized and managed by a committee of volunteers in collaboration with L.I.L.T. Florence (Italian Cancer Society Florence branch). It is not only a walk/run, but is an event for people to gather together for sport, culture and solidarity. All sorts of athletes and non athletes participate, there are no limits in size, age or capability – two routes have been designed that vary in length and difficulty. Specifically for families, friends and children the walk winds through the historic centre of Florence and crosses over the river to the Oltrarno, stopping along the way to visit gardens, churches, palaces and museums that will be opened especially for this occasion. The meeting is at 9.30 am in Piazza Vittorio Veneto, close to the city park Le Cascine. 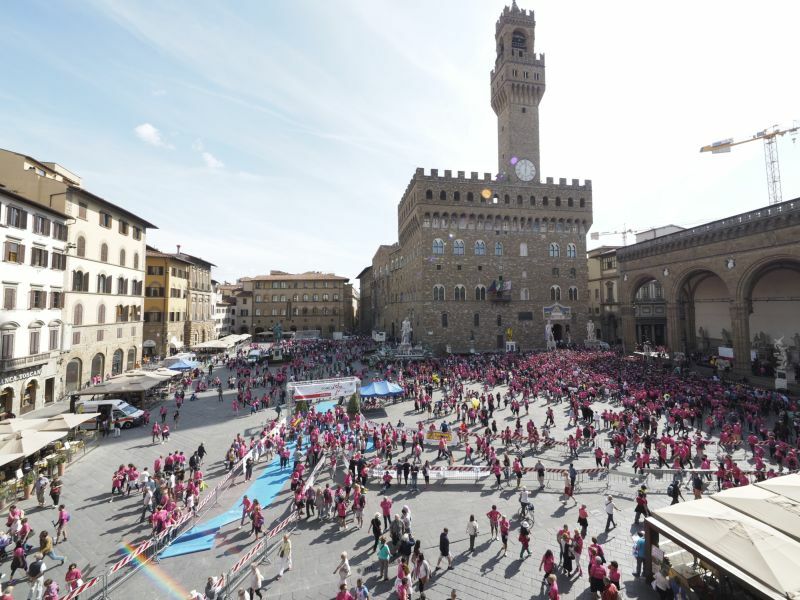 In the afternoon instead, between 2 pm and 6 pm, wearing the official T-shirt of the event will grant you access to several museums of the city like Palazzo Strozzi, Forte Belvedere, Museo Novecento, the museum of Palazzo Vecchio and many others. University Teaching Hospital Careggi – Breast Diagnostic S.O.D. Florence Marathon has enthusiastically accepted the invitation of the Organizing Committee of the ‘Corri la vita’ race to actively cooperate to this initiative and offer its technical support this year too. The company specialised in the organization, promotion and development of sport events as well as of other kind of events, will take care of the technical organization of the event, a ‘charity walk’ along Florence streets at the rediscovery of hidden and charming corners of this wonderful city.